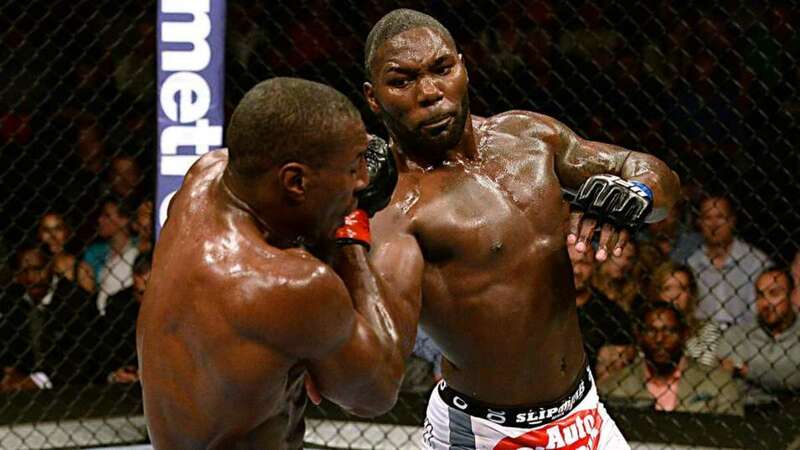 On Wednesday's UFC Tonight, it was announced that the main event for the first FOX special of 2016 will be Anthony "Rumble" Johnson vs. Ryan Bader in a battle of top light heavyweight contenders. The show will be held on January 30th at the Prudential Center in Newark, NJ. Given the current state of the light heavyweight division, the winner of the bout has the best shot at facing the winner of the impending Daniel Cormier vs. Jon Jones light heavyweight title rematch. And because of promotion that will be done during the NFL playoffs on Fox, this is also the show with the best shot at drawing the promotion's biggest Fox rating of the year. Other matches announced for the show thus far are Jake Ellenberger vs. the returning Tarec Saffiedine at welterweight (expect that on the main card), local fighter George Sullivan vs. Alexander Yakolev, Olivier Aubin-Mercier against Joaquim Silva, and Felipe Oliveri vs Tony Martin. This marks the promotion's third UFC offering of January with their January 2nd UFC 195 ppv headlined by welterweight champion Robbie Lawler vs. Carlos Condit, and the January 17th Fox Sports One show headlined by bantamweight champion T.J. Dillashaw vs. Dominick Cruz and Eddie Alvarez vs. Anthony Pettis.